Everyday Art: Lemon Meringue Baby Shoes Pattern Available! I know, its been forever, but I finally finished the pattern! Its simple, their sweet, and you can find it in our Everyday Art Shop on Etsy! 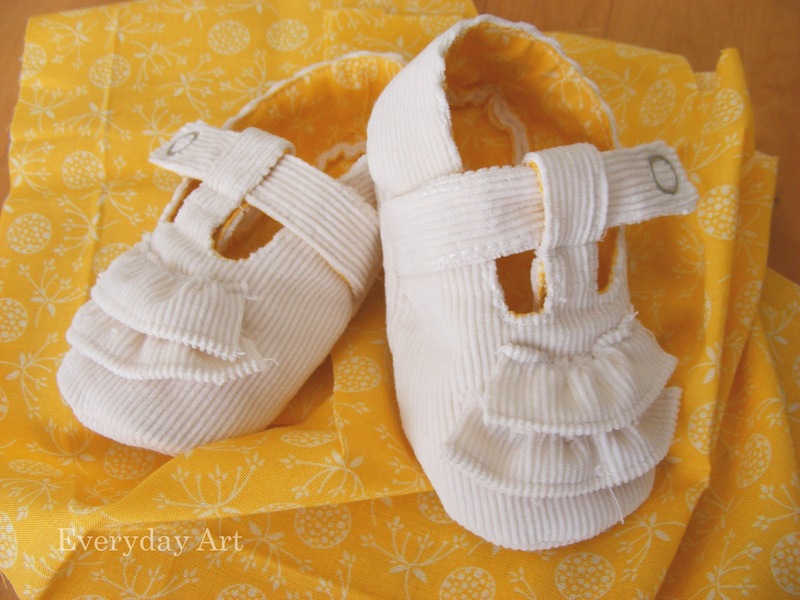 The pattern includes easy to follow step-by-step instructions and photos. Even better, it's a PDF file, so you can print it, cut it, and make it as many times as you like!